It is amazing how quickly children can grow. As children develop, their feet change size and shape; they may be born with a foot condition, or develop one over time. Regardless of the current state of your child’s feet, a podiatrist can be a great help as your son or daughter grows into adulthood. 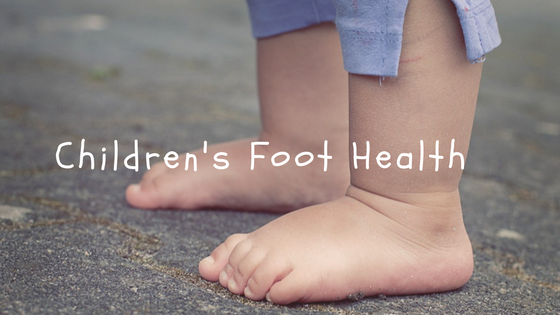 Staying vigilant about the health of your children’s feet and ankles is an essential component of ensuring they grow up to be strong, healthy individuals. As children explore their world, they may unknowingly put themselves in situations that can lead to various foot or ankle conditions. Sometimes existing defects in a child’s foot structure may become evident as he or she becomes more active and begins to complain about pain or discomfort. Some children are born with flat feet others may develop it later on, but not all children with flat feet have symptoms. However, if your child is complaining of pain in the legs, knees or feet, it is best to consult an experienced podiatrist. Other symptoms include cramping in arch, foot or simple, "growing pains". Warts caused by the human papilloma virus that occur on the bottom (plantar) of the foot and toes. Plantar warts can be difficult to treat at home. Our gentle podiatrists use a special technique to effectively treat stubborn warts on the foot. A fungal infection on the skin of the foot can be annoying, if not painful. Symptoms include pain, burning, itching and redness on the bottom of the foot and/ or between the toes. When dealing with a skin infection for your child's delicate skin it's best to seek professional help from your doctor. A common skin condition that causes irritation and inflammation of the skin. This is a condition that is common in children, and occurs when there is inflammation of the growth plate, in the heel of the foot, causing heel pain. It is more commonly seen in children who are active and play sports such as soccer and football. Children's feet are not fully developed continuing to grow until their teens making them susceptible to this condition. Painful curving of the toenail into the surround skin. Ingrown toenails may be hereditary and or caused from trauma or cutting the toenails too short. Bunions that are present in children, and/or the early onset of bunions due to hereditary factors. Nobody likes a fungual infection, especially not on their child's feet. Toenail fungus is caused by fungus that is lives in our environment. When treating pediatric toenail infections seek help from a podiatrist and remember, early treatment is important for success. When children are physically and participate in sports, accidents and injuries are bound to happen. It may be difficult to tell if your child has a sprain or fracture but it is always better to err on the side of caution and have your little evaluated by a specialist. Whether your child is currently suffering from a foot or ankle condition, or you would like to have a preventative evaluation, Sol Foot & Ankle Centers is ready to help. Our warm, inviting office environment will make your son or daughter feel at ease and we’re sure you will be pleased with how easy it is to schedule an appointment with one of our podiatrists. Call today at 562-433-0478. It is always a pleasure to treat the children of the Long Beach area and to help them get on the right track toward optimum foot health. We work hard to make all of our patients feel comfortable in our office and like their voices are being heard. Contact Sol Foot & Ankle Centers today to schedule an appointment for your child by calling 888-703-9826. Posted on 01/05/2017When Should My Baby Start Wearing Shoes?